You get one set of teeth in your life and that’s it! How well you take care of your teeth throughout your life will determine how long you get to keep your teeth through the years. Understanding what may put your teeth in jeopardy of damage or decay is the best way to prevent unnecessary damages to your teeth. Below are a few tips on how you can avoid these hazards, and how you can better take care of the teeth that you have. Poor dental hygiene causes unnecessary tooth hazards. For example, when you do not keep up with your daily dental hygiene habits, your teeth and gums begin to decay. Tooth decay can lead to cavities, inflamed gums, infection, tooth pain, cysts, tooth loss, and even damaged nerves. In order to prevent this series of unfortunate events, be sure to keep up with your daily brushing and flossing, and schedule your biannual visit to the dentist for a checkup. The main purpose for our teeth is to help us eat and chew our foods. While our teeth are strong and designed to chew a wide variety of foods, our teeth are not indestructible. Our teeth can become chipped, cracked or otherwise damaged, if we aren’t careful. With that being said, be cautious eating hard or sticky foods. Limit your consumption of alcohol or coffee, as well as acidic or sugary substances. Avoid chewing anything which makes your teeth vulnerable to breaking, particularly ice or other hard substances. Do not get in the habit of using your teeth as a tool to open plastic packages or bottle caps. Take good care of your teeth, and remember they aren’t indestructible. If your teeth do become chipped or cracked, rest assured restorative dental techniques can fix them, but it’s best to avoid these unnecessary tooth hazards when possible. Even when you sleep at night, you are not completely exempt from tooth hazards. For example, tooth grinding is a problem which can cause quite a bit of damage to your teeth if left unchecked. Tooth grinding might be caused by misaligned teeth or stress, but either way can cause quite a bit of wear on your teeth. If your spouse tells you you grind your teeth at night, or if you wake up in the morning with a sore jaw, then you’re probably a teeth grinder. Since teeth grinding is often difficult to control, you may want to get a night guard to protect your teeth. At your next appointment, ask your dentist to make you a night guard to help with this problem. Last, but not least, unnecessary tooth hazards can be avoided simply by wearing an athletic sports guard. Athletic sports, particularly contact sports, tend to cause injuries from time to time, especially in the mouth. 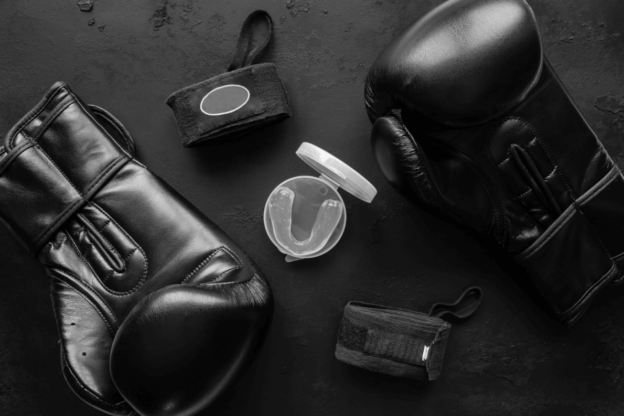 Losing a tooth during one of these athletic events would be unfortunate, which is why protecting your mouth in sports such as football, wrestling, hockey, boxing, baseball, or rugby, is essential. There are a variety of different types of sports guards available from which you can choose, at many different prices levels. You can get a custom sports guard made at your local dentist, or you can buy a generic sports guard at your local sports store, boil it, and have it fitted to your mouth. Ask your local dentist which he or she would recommend for you individually. If you have any more questions on how you can prevent unnecessary tooth hazards, give our dentist in Idaho Falls a call today at (208) ­524-1700. This entry was posted in General, Tooth Repair on May 16, 2018 by Barton. CBCT stands for Cone Beam Computed Tomography. Sometimes, this type of technology is referred to as computerized tomography. It uses specialized x-rays to take cross-sectional images of the body. Dentists use cone shaped x-rays to take images of the patient’s teeth, mouth, neck, jaw, ears, nose and throat. The data obtained from the scan is used to recreate 3D images on the computer so that the dentist can get a good look at the patient’s teeth and mouth. Implant Planning. Dentists use CBCT to assist in implant planning. The scans from the CBCT give the dentist an accurate view of the patient’s jaw and teeth, and allows them to better plan for the insertion of an implant. Implant Post-operative Assessment. 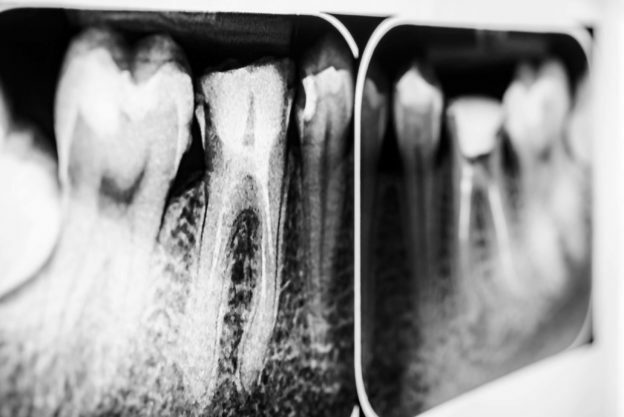 After an implant is placed, dentists can use the CBCT to determine how well the mouth is healing after the implant and if any other steps need to be made. Endodontic Treatment. The CBCT allows dentists to see if there is an infection at the root of the tooth and whether the patient needs a root canal. Impactions and Extractions. A CBCT scan allows the dentist to see if any of the patient’s teeth are impacted or need to be extracted. It also allows the dentist to plan the extraction. Inferior Alveolar Nerve Location. CBCT technology allows for the superior ability to locate the inferior alveolar nerve so that it can be better protected during wisdom teeth surgery, root canals and dental implants. Injury to the nerve is associated with a significant reduction in quality of life, so anything that helps protect the nerve is a great benefit. Odontogenic Lesion Location. CBCT can locate any lesions, cysts or tumors that may be located in the mouth. This can help in the diagnosis and treatment of these lesions. Pathological Characterization. The CBCT can be used to determine if there are any concerns for disease and whether further investigation is needed. Sinus Location. Some dental pain can radiate from the sinuses. Using the CBCT can locate and view the sinus to help with diagnosis and treatment. Surgical Guide Construction. Information obtained from the CBCT can be used to plan for surgery. Trauma Evaluation. If there is trauma to the mouth or teeth, CBCT can give an accurate look at the trauma and what has been injured. TMJ Visualization. Temporomandibular Joint Syndrome occurs when the joint that connects your jaw to your skull is injured. The CBCT can help the dentist get a good look at the area to help determine treatment options. CAD/CAM Devices. CAD stands for computer aided design, and refers to technology that allow dentists to better design crowns and implants. Subtle Osteoarthritic Changes. The CBCT can be used to get a good look at the patient’s bone structure so any changes to the bone composition can be noted. Unexpected Clinical Challenges. If there are any unexpected problems during the dental visit, such as a broken needle, the dentist can use the scan to determine how to proceed. Airway Assessment. The scan can allow the dentist to see the patient’s airway and help determine whether a snoring device could be used. 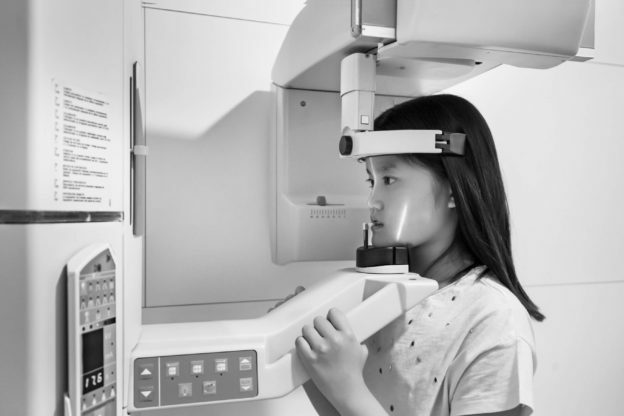 CBCT creates 3D images instead of the 2D images created by regular x-rays. CBCT creates better image quality than a regular x-ray because it reduces scatter radiation. A single scan creates a wide variety of views. A CBCT scan is painless, noninvasive, and accurate. CBCT can create an image of bone and soft skin tissue at the same time. No radiation remains on the body after the scan. There are no immediate side effects. CBCT is an x-ray which means it uses radiation. There is always a chance of cancer from excessive exposure to radiation. However, the benefits of using CBCT outweighs the slight risk of exposure to radiation. Pregnant women should avoid x-rays if possible, and small children should only have x-rays done if medically necessary to obtain a diagnosis. Our Idaho Falls dental practice uses CBCT technology so that we can provide the best dental service possible. We want to keep your smile healthy, and CBCT technology is a non-invasive, pain free way to get a stellar look at your mouth. With the latest available technology, we can get an accurate image of your teeth and jaw, and can create the most effective treatment plan. Call today at (208) ­524-1700 to make an appointment so that we can keep you smiling. This entry was posted in Equipment, General, Tooth Repair on October 24, 2016 by Barton. Tooth pain is never fun. That moment when you take a sip of a cold drink and wince from the pain, is made that much worse knowing that it means a trip to the dentist. If you’re like many people, you will ignore the pain for as long as possible, hoping that it will go away. Unfortunately, pain is often a symptom of a real problem and going to the dentist is the best solution. Tooth Decay—Tooth decay is better known as cavities. These occur when bacteria, acid, food and saliva combine to form plaque on your teeth that then dissolves the tooth, forming holes. Abscessed Tooth—An abscessed tooth is an infection in the root or between the tooth and gums often caused by tooth decay. Trauma, such as a broken or chipped tooth can also cause an abscess. Tooth Fracture—A tooth fracture is a crack or break in the tooth. These can result from an injury like a blow to the face or by biting down on a hard object. Damaged Filling—Fillings do not last forever and eventually they wear down and need to be replaced. They can also be damaged by biting down on hard objects. Grinding—Repetitive chewing or grinding of the tooth can wear down teeth. Infected Gums—Bacteria and plaque buildup can cause gums to get inflamed or become infected. A crown is a tooth shaped cap that covers the tooth and protects it. Protect a Tooth—A weak tooth may need a crown to protect it from breaking, or to prevent tooth decay. Restore a Tooth—A tooth that is already broken or worn may need a crown. 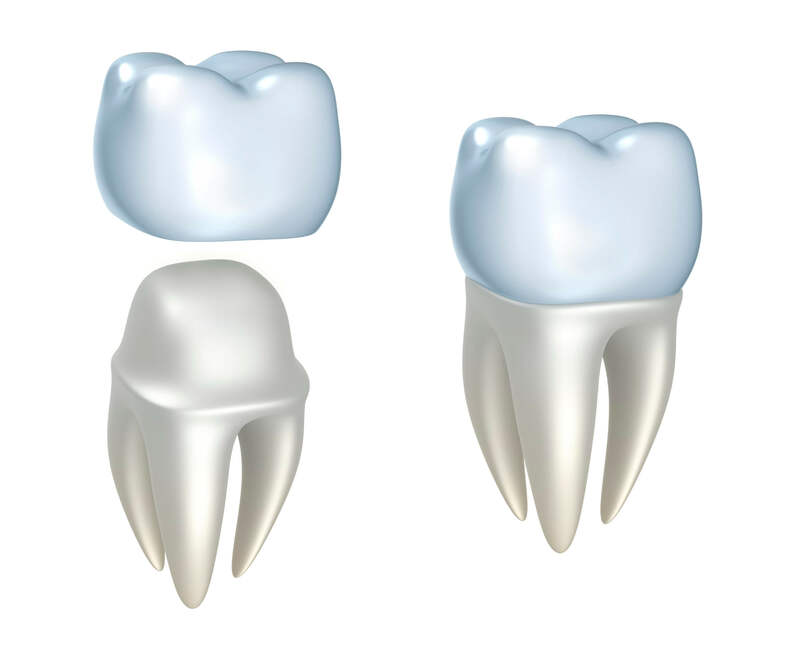 Support a Tooth—A tooth with a large cavity may need a crown to support it and keep it from breaking. Cover Misshapen Teeth—Discolored or misshapen teeth may require a crown for cosmetic purposes. At many dental practices, a crown requires two visits. On the first visit, a mold is taken to create the crown, the tooth is shaped for the crown, and then a temporary crown is placed on the tooth. Then at the second visit, the actual crown is placed on the tooth. This is a time consuming process that requires multiple visits. At our Idaho Falls Dentistry, crowns can be completed in one simple visit. There is no longer any reason to dread your visit to the dentist. With Cerec Cad Cam Technology, we can do your crown in one visit. What is Cerec Cad Cam Technology? Cerec Cad Cam Technology allows the dentist to take a digital image of your tooth and create a crown using computer-aided milling right in the office. Since you don’t have to do a mold of your tooth and wait while the crown is made, this technology allows for less dental visits. Instead, using a camera, the dentist can input the image of your tooth into a computer and create the crown while still in the office. This technology isn’t available at every dental practice. We don’t like to hear that people are avoiding the dentist. Using Cerec Cad Cam Technology, we’ve made it so that getting a crown is a much simpler process. If your tooth hurts, don’t wait to be seen. Our friendly dentists will make your dental visit as easy as possible. Schedule an appointment today for a dental cleaning and learn how to prevent tooth decay. But if you are already in pain, let us help you smile again, because we are here to help—Call (208) ­524-1700 to set up an appointment. This entry was posted in Cavities, Tooth Repair on September 22, 2016 by Barton. Tooth decay is what happens to your teeth when they are attacked by germs and bacteria. Initially, the first stages of tooth decay is when a sticky substance called plaque begins to form on your teeth. This plaque thrives on sugar from the foods and drinks you consume, and it contains bacteria and germs which produce acids in your mouth. These acids will attack your teeth and begin to eat away at its surface, eventually forming a hole in the tooth. Tooth decay can cause many different dental health issues, including cavities and gum disease. These issues can be painful and costly to resolve, so the best way to avoid these issues is prevention. Listed below are a few tips on how to stop and reverse tooth decay in your daily life. A routine trip to the dentist every six months is important to make sure tooth decay is under control. By visiting the dentist every six months, the dentist can perform an oral exam to check for areas of possible tooth decay. Any plaque or tartar spotted inside the mouth will be removed and cleaned to stop or prevent any further tooth decay. If cavities are spotted, the dentist will provide restoration services to fill the hole and prevent dental health issues in the future. It is important to make sure your mouth is checked every six months, so you can prevent major tooth decay from occurring. Brushing and flossing on a regular basis is important to stop and reverse tooth decay. Brushing in the morning after you wake up is especially important, since during the night bacteria grows more rapidly. The first thing you want to do when you wake up is make sure to brush away the acids inside your mouth which are on your teeth. In addition to brushing in the morning, it is recommended to brush at least twice a day, or after every time you eat. By keeping up with regular brushing and flossing, you can stop plaque from building up and causing tooth decay. Diet plays a large role in the health of your mouth. If you eat lots of sugary snacks in between meals throughout the day, you are at a higher risk of developing tooth decay. Bacteria found in plaque thrives on sugars and releases acids when the two come in contact. You will have a hard time keeping up with plaque, if your diet contains a lot of sugary foods and drinks. A few foods to consider limiting in your diet throughout your day include: candies, soft drinks, pastries, or other carbohydrates. If you do choose to consume these, make sure to be quick about it. Eat or drink it all at once, and not a little bite or sip at a time. This is important because each time you eat or drink, acids are activated in your mouth for twenty minutes afterwards. Drinking water or chewing gum throughout the day, however, can help to minimize these effects, along with eating cheese, almonds, celery, carrots, apples, or leafy greens. By eating a balanced diet, visiting your dentist every six months, and brushing and flossing regularly, you can stop and reverse tooth decay. Learn more dental health tips today, by checking out our other blog posts! To schedule an appointment with our Idaho Falls dentists, give us a call at (208) ­524-1700. This entry was posted in Cavities, General, Preventative Dentistry, Tooth Repair on July 6, 2016 by Barton. Did you know our office has a dental laser? 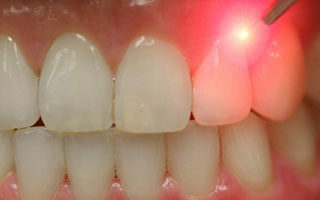 Dental lasers are an exciting new technological advancement in dentistry. The laser can be used to perform certain surgical procedures with little to no pain at the time of the surgery and after. The laser can also be used to treat cold sores and canker sores effectively. Some periodontal or gum treatments can also be accomplished easier and more effectively with the dental laser. For more information or to schedule an appointment, please call our office at (208) ­524-1700. This entry was posted in Equipment, General, Tooth Repair on January 23, 2013 by Barton.